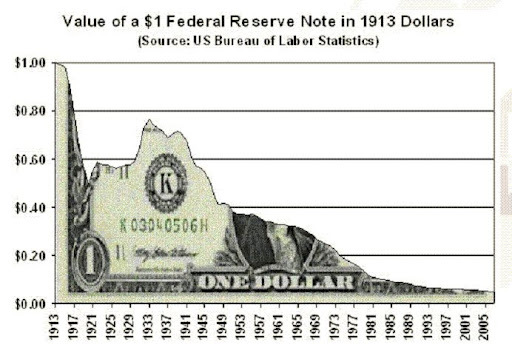 The Federal Reserve’s explicit goal is to devalue the dollar by 33%. The Fed has announced a course of action that will steal — there is no better word for it — nearly 10 percent of the value of American’s hard earned savings over the next 4 years. The giant banks – through their treasury borrowing committee headed by JP Morgan and Goldman Sachs – are also demanding the issuance of negative yield bonds. In other words, the too big to fail banks want Americans to pay to have the luxury of holding their money in bonds. American savers – and especially those living on fixed incomes and pensions – are going to get creamed.